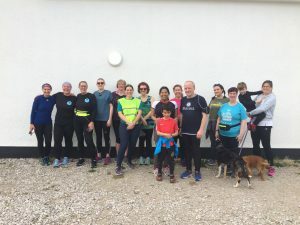 The first Big Social Run for North Wales successfully took place last Sunday (7th April 2019) with participants coming from many different local social running groups. 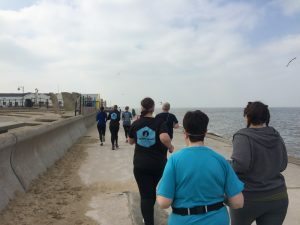 The free, fun and friendly event brought together members of the local groups as well as people who regularly take part in the nearby parkruns, as well as holidaymakers from the nearby caravan park. Starting at at Prestatyn Cricket Club, the run took place along the the prom in the lovely sunshine, with everybody chatting along the way and generally enjoying themselves. Feedback was very positive from everybody who took part and said they were "excited for the next Big Social run".